Pathology Cytology Development or PCD is a French humanitarian association specializing in the development of clinical pathology laboratories in developing and emerging countries.Clinical pathology laboratories screen and diagnose cancer and other infectious diseases. Recycling medical equipment and other reusable material from hospitals and laboratories in France, which are tracked and inspected at the Hospital of Meru (France) before being shipped to applicant countries. Training physicians and laboratory technicians. 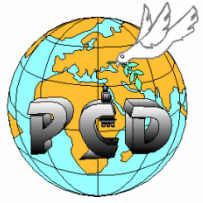 The partnership between PCD and European Cancer Centers concerns the training of medical personnel.